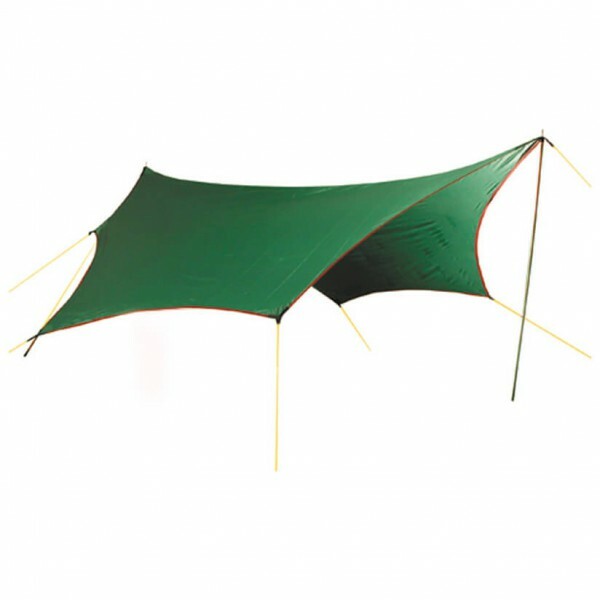 Versatile and weatherproof - Wing Zero-G Line by Wechsel is a tarp made of premium quality nylon fabric. A silicone coating on both sides gives the fabric more tensile strength and UV resistance. This makes it ideal to use as an awning or canopy to additionally protect your tent from sun and rain. The special form adapts very well to all kinds of tent shapes. A corresponding upright pole and stakes are already included in the scope of delivery! ;"